We Buy/Sell Gaylord Boxes ID. We have boxes available for sale throughout the Northwest. We will happily provide any and all of your gaylord boxing needs in the state of Idaho. Upon completion of this form, we will have your request sourced immediately, and contact you via email or a phone call. Our complimentary gaylord box recycling service is available for all customers in the state of Idaho. We will send a truck directly to your location to pick up and remove all of your unwanted inventory in order to dispose it in an environmentally friendly fashion. We will proudly service all of your boxing needs in the state of “Great Potatoes”. One of the most popular boxing demands coming from the state of Idaho are for 3-wall produce boxes. We are actively trying to increase our presence in the state of Idaho, so if you are in possession of lightly used gaylord boxes, we urge you to fill out our box seller form. In order to foster a long and prosperous relationship, we will compensate you for your boxes at a highly competitive rate, and arrange the pick up. On the other hand, if you have gaylord boxes that you would simply like to get rid of, check out our complimentary gaylord box recycling service. Lastly, if you’re looking to purchase lightly used gaylord boxes, complete our box buyer form. 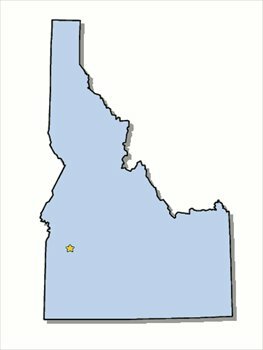 We will be able to locate boxes for you in the bordering states of Washington, Nevada, Oregon and Utah. We look forward to doing business with you!